A keyword can be one word or a few words together (also knows as a keyword phrase). Keywords in relation to products, as the word or phrase that the buyer will use to search for your product. EG: iPhone - as a keyword, or pink iPhone case - as a keyword phrase. 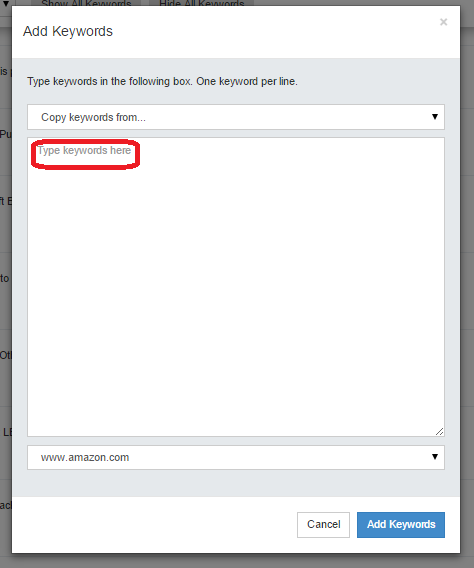 When adding a keyword to track in AMZ Tracker it can be a single word or a phrase. In your AMZ Tracker dashboard, go to the 'Rankings' tab. Or if you have added at least 1, but want to add more click on the '+' icon. You will now see a pop up box appear, titled 'Add Keywords'. Go to the box, which prompts you to 'Type keywords here'. 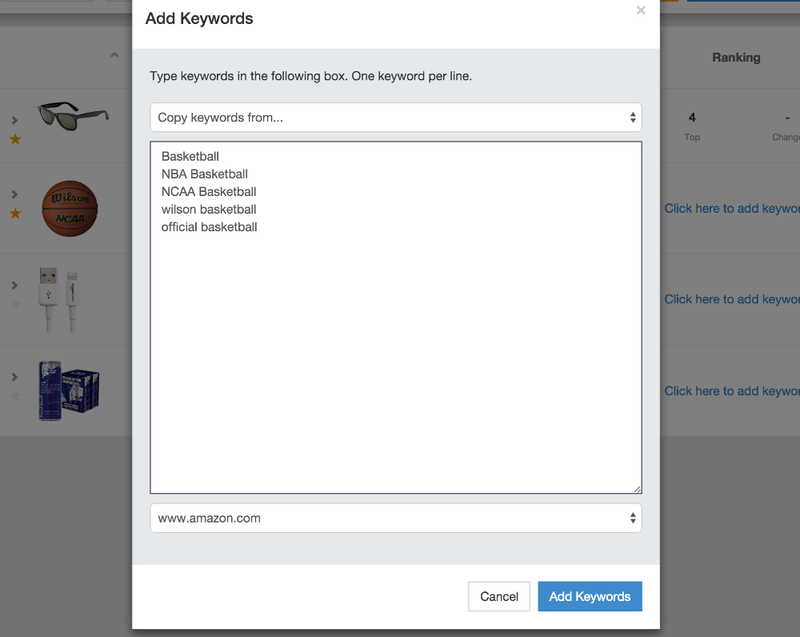 For this example, we'll type 'Basketball' and a few other keyword phrases. Then, click on 'Add Keywords'. 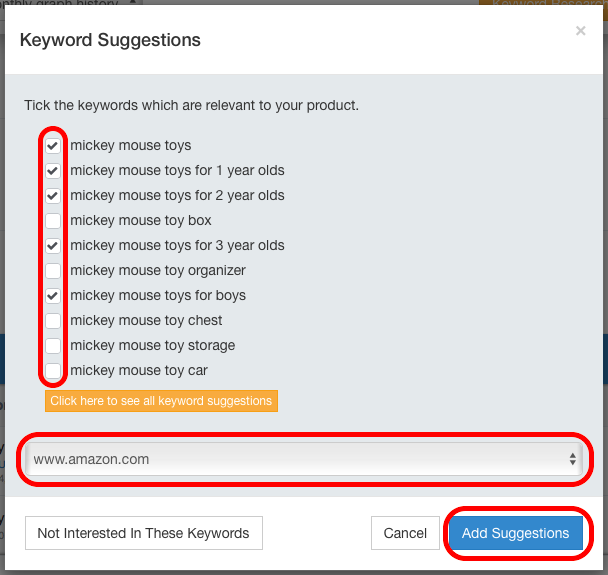 Just below your Product, you will see a blue bar titled 'Click here for Keyword Suggestions'. Click on the blue bar and you will see a box appear titled 'Keyword Suggestions'. Select or unselect the checkboxes for the keywords you're interested in. Check that the Amazon marketplace is correct for the country you're selling in. Click on 'Add Suggestions' when you're finished. Click on the yellow box titled 'Click here to see all Keyword Suggestions'. Click on 'Not interested in These Keywords' and it will not display these keywords again. Or click on 'Cancel' to return to the Rankings page.